The now "Run Daily Operations" was "Schedule Planning" then. This screen would pop up everyday after you Sleep. To plan schedule for a girl,the criteris was to be her Close Friend!!! It consumed 0 Energy & it was optional as well. kotomifan I actually liked this version of the modeling game, except when this screen would pop up every single day. 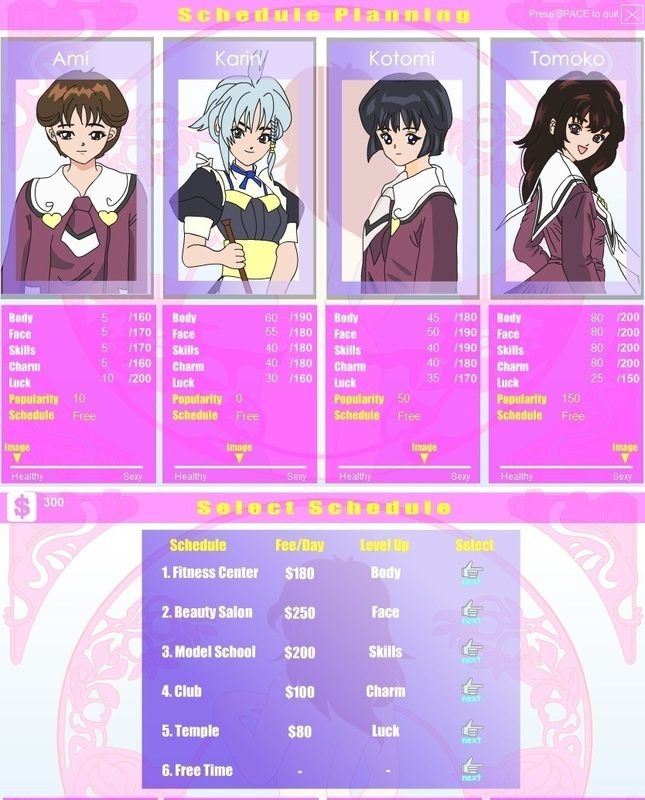 I also didn't see the benefit of spending any money on Ami or Karin at that time. Soham Banerjee Really??? Did you like it more than the current Model Manager??? Why didnt you found benefit of spending any money on Ami or Karin at that time??? kotomifan Once I got the hang of it, it was so easy making money with just Tomoko and Kotomi. I prefer the new one because it's more of a challenge. Soham Banerjee I agree.Why didnt you found benefit of spending any money on Ami or Karin at that time?? ?